Editor’s note: Alison Giffen is co-director of the Future of Peace Operations program at the Stimson Center, a nonprofit and nonpartisan international security think tank. She has worked on the protection of civilians and peacekeeping in South Sudan since 2007 and lived in Sudan from 2007-2009. The views expressed are her own. Tens of thousands of people in fear for their lives are sheltering inside six United Nations bases in the world’s youngest country, South Sudan. They have fled to these “safe havens” to escape the violence of a civil war that has been tearing apart their country since mid-December. Swift and decisive United Nations action is needed to protect civilians from further suffering and bloodshed. Violence flared on December 15 between South Sudanese President Salva Kiir’s government forces and supporters of his former vice president, Riek Machar. Editor’s note: Caelin Briggs is an advocate at Refugees International. The views expressed are the writer’s own. Two years ago today, South Sudan gained independence from Khartoum, becoming in the process the world’s youngest country. The Sudan People’s Liberation Army, which today is South Sudan’s national army, was then just a group of rebels, fighting in the mountains and deserts for sovereignty for their people. But this independence day, many South Sudanese aren’t cheering the SPLA – they are running from it. Reports of abuses by government soldiers in Jonglei State have streamed in during recent weeks, adding to a long list of major human rights violations since 2011. The time has come for South Sudan’s foreign backers to force major changes to the nation’s military. If they do not, then the SPLA could destroy the very country it helped create. A month ago, I traveled with my colleagues from Refugees International to Jonglei State and met with some of those who had just fled their homes after SPLA attacks. Between January and June of this year, soldiers allegedly burned down hundreds of homes, looted and destroyed property belonging to Medicines Sans Frontieres and other aid groups, displacing tens of thousands of people across the state. Editor’s note: EJ Hogendoorn is Deputy Africa Program Director for the International Crisis Group. Ben Dalton is a Communications & IT Officer for ICG. The views expressed are their own. Last month’s arrest of senior security figures for allegedly plotting a coup showed how close Sudan is to even greater violence and disintegration. Despite the indictment by the International Criminal Court of President Omar al-Bashir, South Sudan’s secession, billions spent on humanitarian assistance and numerous other international interventions, civil war continues to plague the country. Only managed but fundamental governance reform can help it escape a pattern of chronic conflict and human misery. 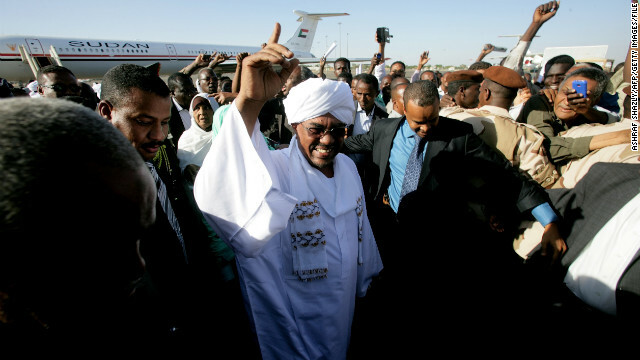 Bashir remains a key hurdle, and it is time for him – and the international community – to face some painful realities. He must confront the fact that the challenges he and his ruling National Congress Party face are the gravest they have ever been and threaten the state’s stability and integrity. His own personal position is likely only to become ever more tenuous. International actors need to acknowledge that there is no lasting solution to decades of civil war without the willing participation of the president and the NCP. Editor’s note: Jonathan Schanzer is vice president for research at the Foundation for Defense of Democracies and a former terrorism finance analyst at the U.S. Department of the Treasury. He tweets at @JSchanzer. The views expressed are his own. 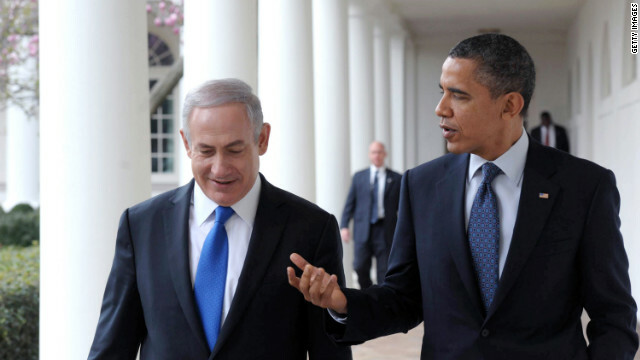 The latest round in an endless cycle of violence between Israel and Gaza has culminated in a surprising win for the US- Israel relationship: an apparent renewal of vows between President Obama and Prime Minister Netanyahu. It’s surprising because the relationship appeared to be at its nadir. It was just a few months ago that editorial pages charged Netanyahu with meddling in U.S. politics, angling for a Mitt Romney victory over President Obama. With Obama having soundly thumped Romney at the ballot box, U.S. relations with Israel appeared due for a four-year winter. Editor's Note: Christopher Alessi is an associate staff writer at the Council on Foreign Relations. Jendayi Frazer is an Adjunct Senior Fellow for Africa Studies at CFR. The following interview is reprinted from CFR.org with permission . 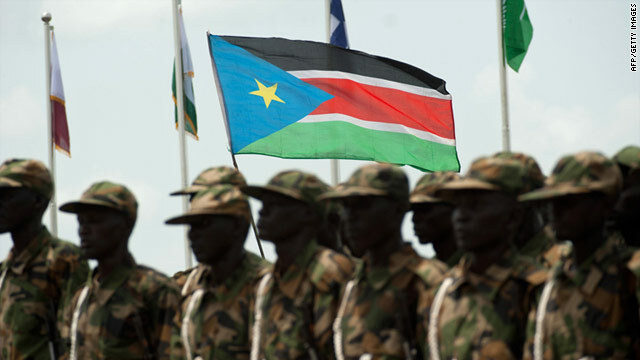 Tensions along the oil-rich border that divides Sudan and recently independent South Sudan have escalated in recent weeks, raising the prospect of a full-scale war between the longtime foes. China, which maintains considerable oil interests in both countries, has called for restraint (Reuters) and vowed to work with the United States to bring both sides back to the negotiating table.Jendayi Frazer, the former U.S. assistant secretary of state for African affairs, says while the role of mediation should remain with the African Union, the United States and China are vital players in this conflict that can bring pressure to bear on both parties. Editor's Note: The following is reprinted with the permission of the Council on Foreign Relations. Clashes between Sudan and South Sudan soared in the past week after South Sudan declared the disputed Heglig oil region is under its control. The move is just the latest as fears rise of a return to war and rights group are warning of deteriorating humanitarian conditions. South Sudan split from the government in the north in July, officially breaking Africa's largest nation into two, the result of a referendum last year overwhelmingly approved by voters. The referendum was part of a 2005 peace deal that ended the civil war that pit a government dominated by Arab Muslims in the north against black Christians and animists in the south. 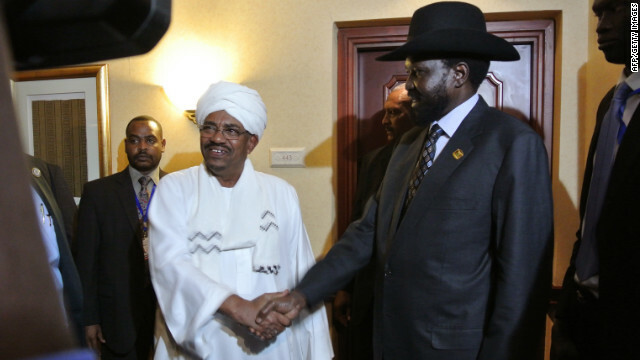 Southern Sudan: A new strategic ally? Editor's Note: Andrew S. Natsios is a Distinguished Professor in the Practice of Diplomacy at Georgetown University’s Walsh School of Foreign Service. Mr. Natsios served as Administrator of the U.S. Agency for International Development (USAID) from 2001 to January 2006, and served on GMF’s Transatlantic Taskforce on Development in 2008-09. On July 9, 2011 the world’s newest state was born—the Republic of South Sudan—when it formally seceded from the Sudan at a ceremony attended by 30 heads of state. What happens to the fledgling Republic matters to the region and to the United States and Europe – not as a humanitarian victim but as a potential strategic ally.